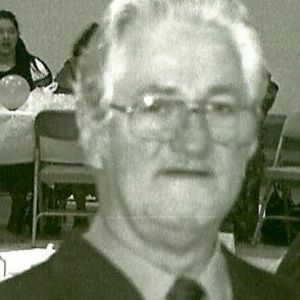 James W. Michael, 81, of Anderson, passed away March 26, 2019. He was born August 5, 1937, in Kokomo, the son of George and Vera Michael. He worked for Product Action for over 23 years. He enjoyed gardening, watching Colts football, playing with his dogs and building (or supervising) things. He is survived by his son, William "Bill" (Valerie) Michael; grandchildren, Amy (Nate) Bryans, Cara (Daniel) Bailey, Danielle (Derek) Sawger, Jake (Laura) Shellhorn, Allison (Chad) Southern and Sheldon Neville; 8 great grandchildren; and a brother Jerry (Rita) Michael. James was preceded in death by his wife, Janice Michael, daughters, Tony Lynn Shellhorn and Pamela Michael; and a son, James Kevin Michael. Services will be noon, Saturday at the Connection Point Church, 2702 West 38th Street, Anderson, with Pastor Donnie Smith officiating. Burial will follow at Grovelawn Cemetery.